We really do think we have one of the luckiest jobs you could ever have! Every bride we meet is a gem, full of love, excitement and beauty, and we love being a part of such an incredibly important day. Our job as a Banff makeup artist and hairstylist will always rank at the top of our list for best occupations. Today we are excited to share a Banff wedding from Orange Girl Photographs. 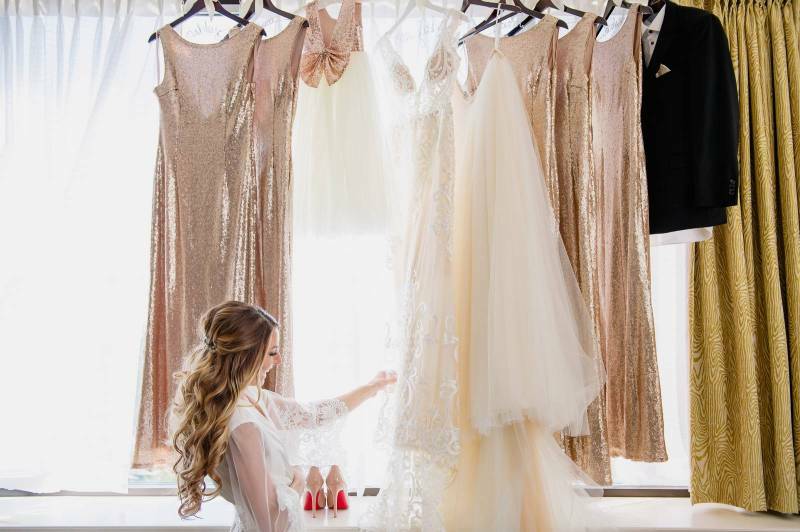 Kirstie is another local photographer who always blows our mind with her incredible photographs and she captured the beauty and spirit of this incredible bride getting ready perfectly. Our beautiful bride Amanda kept her gorgeous golden hair long and we gave it gorgeous mermaid-like curls and gently pulled back part of it for a beautiful half up-do. We kept her makeup in neutral and earthy tones with a light pink lip as an accent, but it was truly her joy and personality that radiated. If you're looking for a Banff wedding hairstylist or makeup artist be sure to get in touch with Mountain Beauties. You can look through all of our portfolios here for more hair and makeup inspiration.